The European Research Group on Military and Society (ERGOMAS) is organizing its biennial conference on military and society hosted by the Hellenic Army Academy in Athens, Greece (www.sse.army.gr). Conference dates are June 26-30, 2017. MILITARY AND SOCIETY: NEW MODELS FOR NEW CHALLENGES The mass military forces led by aristocrats in the early nineteenth century transformed into the professional volunteer forces of the early twentieth. In the middle of the twentieth century, militaries transformed again into “international police-armies” designed to establish security and stability and provide humanitarian assistance. These changes in the military model evolved in concert with the social and political changes, especially with changes in the nature of conflict. We are now undergoing a new change in the nature of conflict. Phenomena such as the resurgence of nationalism after the Cold War, the escalation of terrorism, the internationalization of domestic conflicts, and the continuing development of multinational coalitions raise questions about how the military model will and must evolve to meet these challenges. 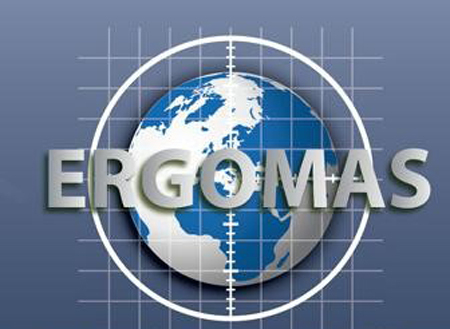 The upcoming ERGOMAS conference will focus on new lines of inquiry stemming from this new defense and security environment and how these emergent forces will affect the social structure of armed forces. In particular, we will focus on exploring how the study of military and society, both theoretical and practical, can be applied to understanding these evolving transformations and adapting to the challenges they pose. We encourage discussion in these areas, as well as other key topics of research in the military and society domain. Please submit abstracts for papers by email for consideration to both the appropriate working group coordinator (see attached for list of ERGOMAS Working Groups) and to the Secretary General (Irina.Goldenberg@forces.gc.ca). 31 January 2017. If you would like to propose a panel that might fall outside regular working groups, please direct it to the secretary general (Irina.Goldenberg@forces.gc.ca). Το άρθρο δημοσιεύτηκε Τετάρτη, Σεπτέμβριος 21st, 2016 στις 13:51 στην κατηγορία ΣΤΡΑΤΙΩΤΙΚΗ ΕΚΠΑΙΔΕΥΣΗ. Μπορείς να παρακολουθείς τα σχόλια χρησιμοποιώντας το RSS 2.0 feed. Τα σχόλια είναι κλειστά, αλλά μπορείς να αφήσεις ένα trackback από το site σου.